1. Air Purifying Filters. Approved by the National Asthma Council Australia’s Sensitive Choice program, Daikin’s L-Series Split Systems combine the air-purifying filters and a titanium apatite photocatalytic deodorising filter to trap most microscopic particles, decompose odours and help absorb and deactivate bacteria and viruses. 2. Energy Efficent. Econo mode reduces the maximum operating current and power consumption of the outdoor unit by approximately 30% during start-up. 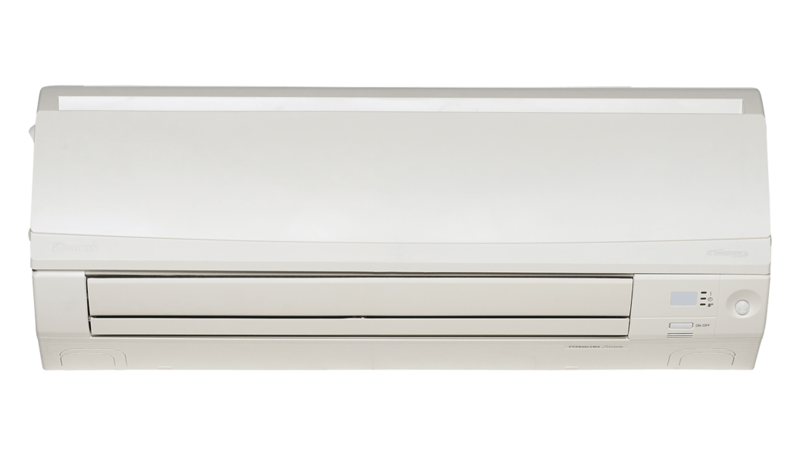 This provides outstanding energy efficiency and convenience when using multiple air conditioners and electrical devices simultaneously Standby power function reduces energy consumption when the system is not in use. 3. Intelligent Comfort. Intelligent eye reduces power consumption when the air conditioner is operating and no activity is detected in a room. 4. Customisable, Clever Design . Daikin’s 24 hour weekly timer provides a customised 7 day program with the ability to preset up to 4 settings per day. Furthermore the 3-D airflow combines vertical and horizontal auto swing to circulate warm or cool air throughout large spaces.